Welcome to Clinton Boys & Girls Club Track! Check back frequently for the latest information on clinics, registration, leagues, and schedules and more. The missions of Clinton Jets track and field program is to teach proper running form and technique, proper stretching routines, and correct fundamentals for all field events. We also encourage all of our athletes to excel beyond sport teaching character and integrity as vital parts of our program. We competitively compete on the USATF circuit under the Potomac Valley Region which is one of the largest and most competitive regions in the United States. We look forward to having your child grow in our program both on and off the track. 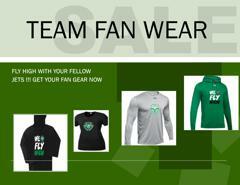 Order Your Clinton Jets Gear Now !!! ©2019 Clinton Boys & Girls Club / SportsEngine. All Rights Reserved.